Allan Kitchel. The Guide to Nature, October 1917. Greenwich Historical Society, William E. Finch, Jr. Archives. 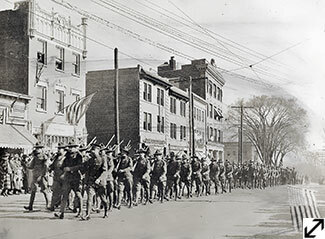 Greenwich and Sound Beach Home Guard Units Marching Up Greenwich Avenue. Winter 1918.Photograph. 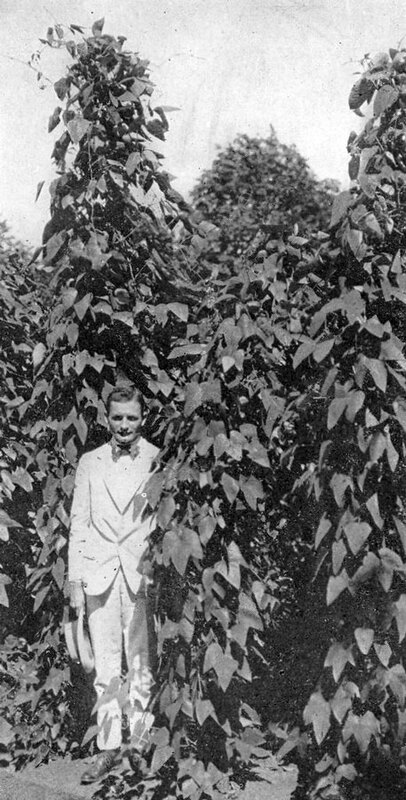 Greenwich Historical Society, William E. Finch, Jr. Archives, Photograph Collection. Kitchel, a managing chemist at Binney and Smith, attended the Plattsburg Training Camp twice. In 1917 he was elected Captain of the Home Guard for Greenwich. 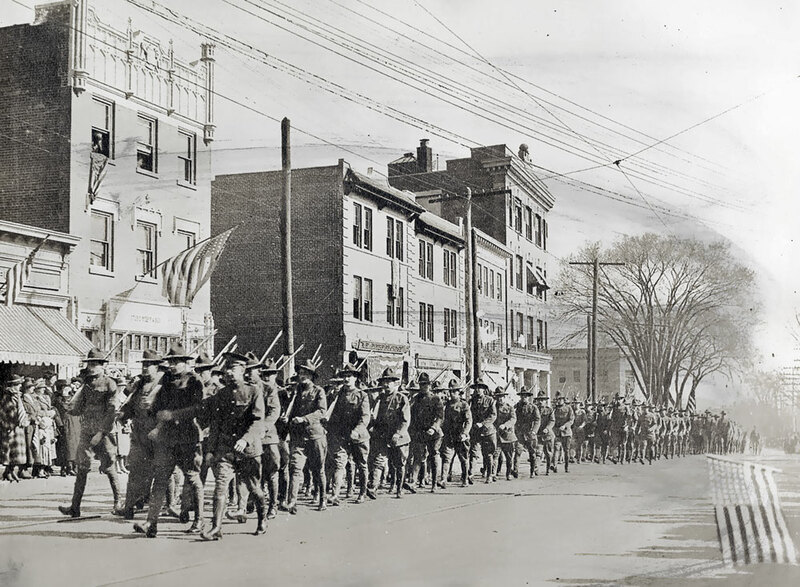 The Connecticut Home Guard, consisting of nearly 20,000 individuals, was primarily composed of men who were considered too old to serve in the military. It was designed as a substitute for the state's National Guard units once they had been sent to fight in Europe. Home Guard members styled themselves as modern-day Minutemen. They purchased their own gray-colored uniforms and rifles. In Greenwich they helped patrol the rail lines and power stations, offered general protection to the community and marched in parades. Joseph Louden, who was in Boy Scout Troop 2's band, remembered playing music for the Home Guard's drilling led by Captain Kitchel near the Riverside railroad station. In January 1918, Allan F. Kitchel enlisted in the Army as a first lieutenant. He served in Washington, D.C. before being transferred to the U.S. Army Air Service and his eventual assignment to Langley Field, Virginia. There he headed the 30th Construction Squadron until January 1919.